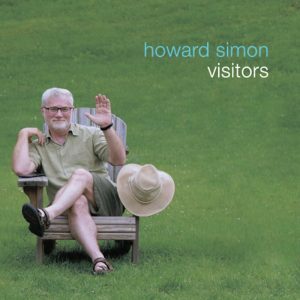 Howard Simon – Visitors – Album Review | The Ark of Music – The best music in the world…you never knew existed. His goal is lofty, though worthy. His intentions are rare, though honorable. You see, Howard Simon isn’t just making handsome noise with that guitar of his. He wants to touch your life. He wants to reach that soft, warm spot somewhere underneath your sternum. And, in an age encumbered by meaningless, one dimensional pop drivel, Howard makes music with the hope that you’ll really feel something. With classic folk influences like Bob Dylan, Paul Simon, and John Martyn, the San Francisco-based (by way of Cleveland) Simon has put in work across the country from Chicago to Santa Fe, Los Angeles to Sacramento, and more. 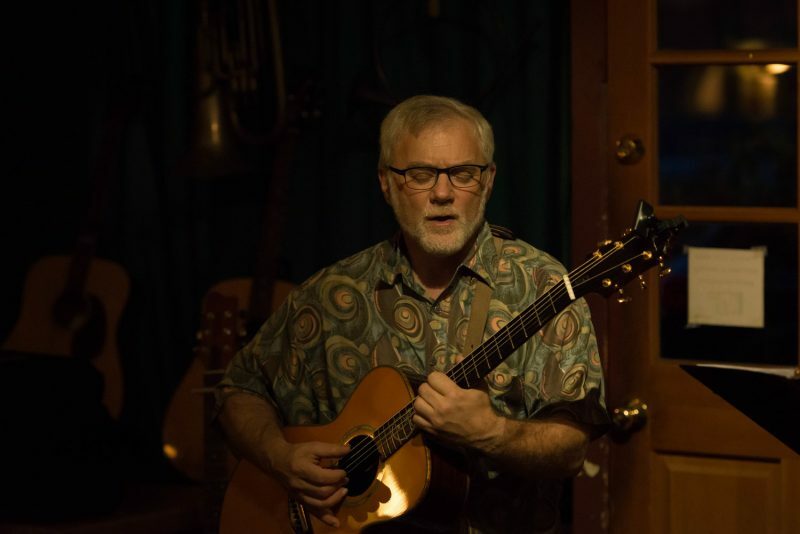 Though playing and writing music as a teenager in the ’70’s, his eventual duties as a father and a husband put a pause on music for some twenty years. Returning to his guitar craft in 2004 set off a cascade of events that would eventually lead to meeting his producer in 2012, and his debut album, The View From This Horizon in 2014. His latest release, Visitors, was something Simon says he wanted to make for fun, and to show that this late-bloomer has plenty more left in the tank. In The Devil Every Day, Simon temporarily puts down his acoustic guitar in favor of an electric ax, and makes it work. The track has a cool, smooth 70’s vibe reminiscent of The Doors and Blue Oyster Cult. Where You Are, a song Howard wrote in his 20’s, shows that this artist’s brilliance for the tender has long been with him. The piece takes its time, expanding slowly with vocal harmonies, and a lovely piano solo at around 3:06. Normal Life is a tastefully simple, smokey jazz number, complete with that quintessential organ and muted trumpet. The depth of Simon’s writing, as well as his skilled finger-style and flat-picking, are both uncommon and commendable. Ultimately, it is this combination which makes his sophomore effort, Visitors, a lovely and warm compilation of tales that sound and feel dreamy and fictitious—and at the same time—historically relevant. BELOW, you can listen to Howard Simon’s album, Visitors, and connect with his website and social media platforms. Please support Howard Simon by visiting him online, and playing, downloading, and/or purchasing his music. And, as always, thank you for supporting real music!